Kennametal Carbide Flat Bottom Drills. FB Drills with through coolant for flat-bottom applications. The B707 FB series solid carbide drills are productivity tools that combine two operations in one. 1 - Eliminate the 180 degree end mill in flat-bottom drilling or when preparing an inclined or curved surface for drilling. 2 - After full cylindrical engagement, the drill runs at normal solid carbide drilling parameters. The B707 FBS series with the new uncoated KN15 grade now offers the same advantages for drilling in non-ferrous materials, such as aluminium, copper, and brass. The B707 FBL series is designed for applications is stainless steel and high-temperature alloys. 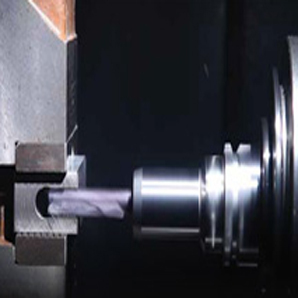 Visit the Kennametal Solid Carbide Drilling section of our website for more information.